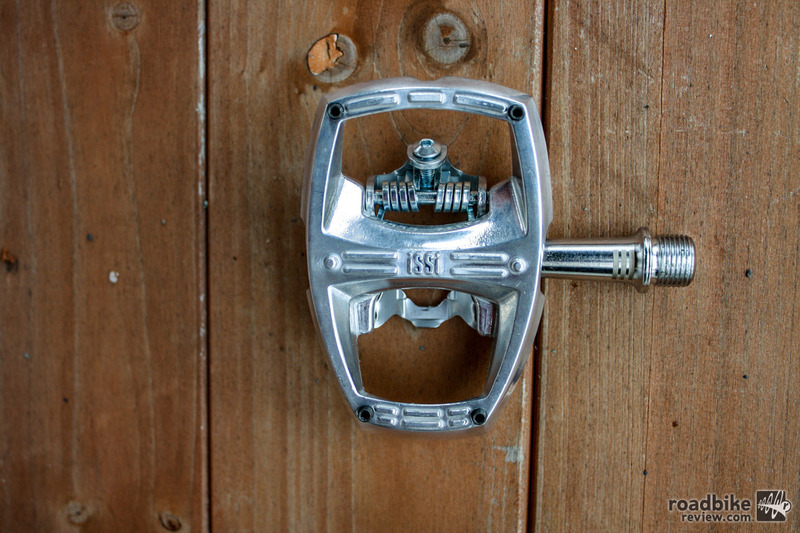 iSSi pedals use a two-bolt cleat that’s SPD compatible and has 4 degrees or float and 14.6 degree angle to release. iSSi is answering the call of the beginner, commuter, and adventurer in one swoop, introducing the Flip III, a hybrid platform/clipless pedal. The Flip III’s are an excellent option for beginners looking to dip their toes into the clipless pool. So, will the iSSi Flip III help new riders more easily make the transition from platform to clipless pedal? Will they benefit commuters from having to bring two pairs of shoes with them every time they ride to work? Read on to find out. I admit it’s been awhile since I’ve ridden flat pedals without toe straps. I’m used to packing my commuting bag with spare clothes/shoes and notebooks. This commuting ritual was interrupted when I installed the iSSi’s Flip III on my commuter bike. I opted for the classic silver dollar color, but iSSi offers many other color options. iSSi Flip III in the silver dollar colorway are classic cool. Out of the box, the pedals feel solid and sturdy, weighing 416 grams for the set. The iSSi Flip have a cast alloy body, 58.5mm spindle (wider than the Flip I), triple sealed bearings, and replaceable pins for better shoe grip. Installation is similar to most clipless pedals, requiring an 8mm Allen wrench and some grease. iSSi labels R and L on the pedal spindles, which is a cool little detail. iSSi found platform traction as a point where the Flip could most improve, and then worked in collaboration with its athletes in the adventure racing and touring world, deciding removable/replaceable pins were the best traction solution. 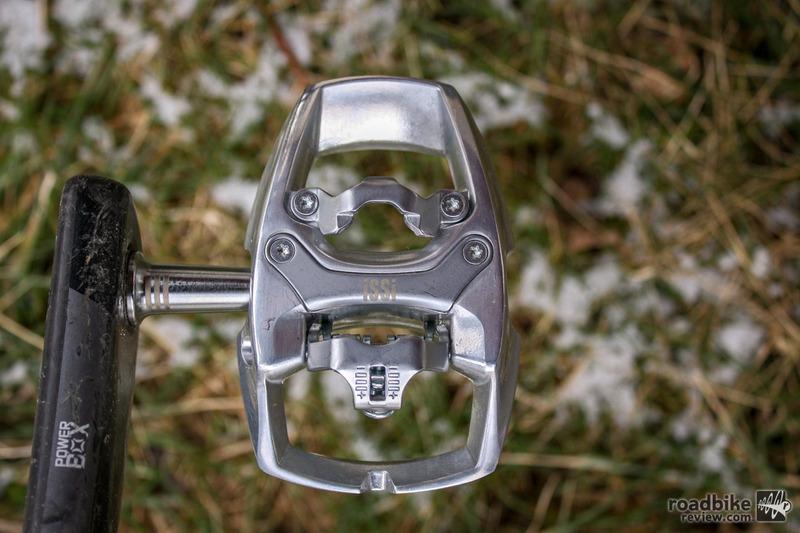 iSSi pedals use a two-bolt cleat that’s SPD compatible and has 4 degrees of float and 14.6 degrees angle to release. Spring tension is adjustable on the clipless side and has five engagement settings. Replaceable pins are the most noticeable upgrade made to the body of the pedal. Riding the Flip III, I barely noticed a difference in performance from my day-to-day Flash III pedals. Usually, stack height is a factor when changing from pedal to pedal, but it was not the case with iSSi. In performance terms the Flip’s felt fantastic. The platform side has a similar amount of surface area compared with Shimano PD-T800 and PD-A530, though the pins add an extra layer of grip. I noticed the pins more when I switched from Vans to my dress shoes. The Flip III’s offer consistent grip no matter what shoes I wore. This also lead to some impromptu shredding, something I’ve noticed that platform pedal can cause. I am delighted with the performance of iSSi’s Flip III, though the $100 price tag may be too much for some commuters to justify. I hope potential buyers will look into the craftsmanship of the Flip III and see a lasting pedal option worthy of the price. iSSi Flip has an entire cast alloy body and triple sealed bearing, an upgrade from both Flip I and II. They are available in blackout, silver dollar, iSSi pink, lime green, Hi-Viz yellow, lava, violet, and teal. Performance casual; iSSi’s Flip III are ready for commuting and adventure. Bottom line, iSSi’s Flip III pedals are an excellent option for any touring, adventuring, or commuting bike setup. 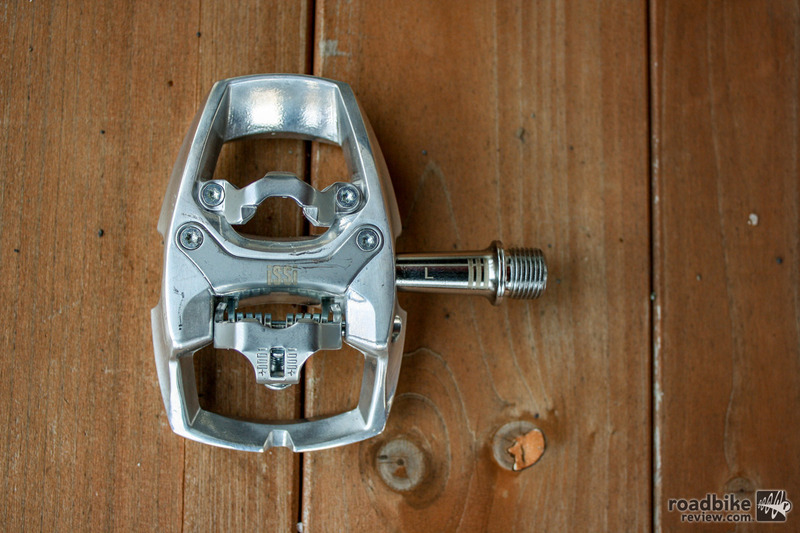 New adopters of clipless pedals should see the Flip III as an option that can exist in their pedal arsenal for many years to come. Though they weigh more than some, the classy look and overall attention to detail show real signs of a quality build. 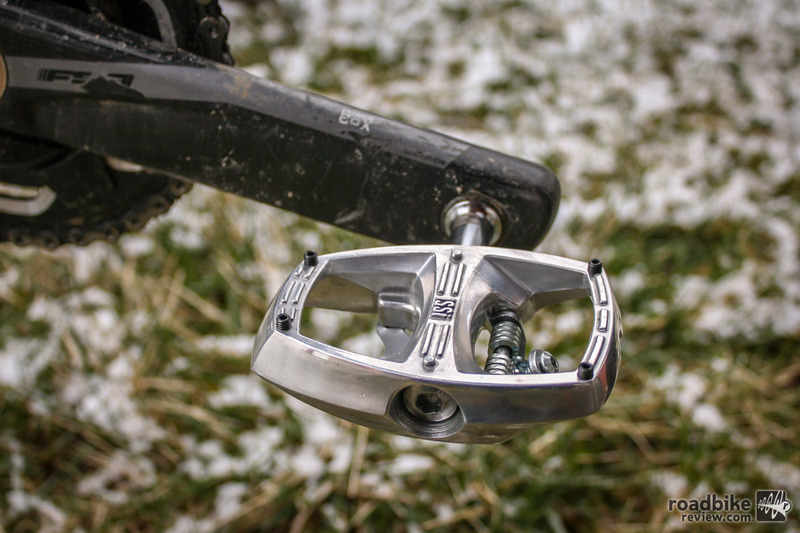 iSSi pedals use their own two bolt cleat (SPD compatible) with 4 deg or float and 14.6 deg angle to release. iSSi Flip III in the Silver-Dollar colorway are classic cool and match every bike style. 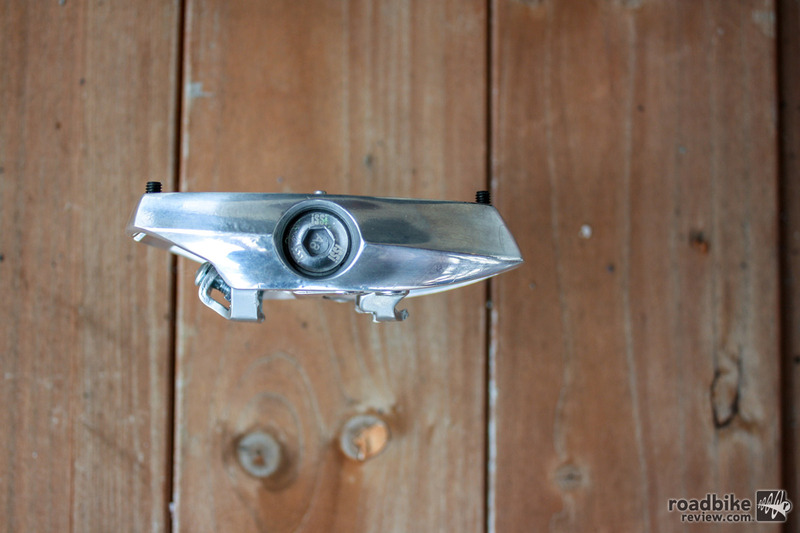 iSSi Flip has an entire cast alloy body and triple sealed bearing (an upgrade from both Flip I and II).